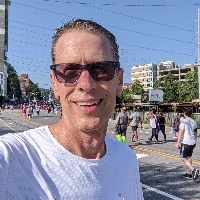 As many of you may know, I also serve as volunteer President of the Georgia Chapter of the American Parkinson Disease Association, and once again I will be running Atlanta's premiere 10K race on July 4th (my 12th running) to help raise money for promising research and local programs benefiting persons with Parkinson's and their caregivers including community education and awareness, exercise, caregiver respite and ride assistance. Please help make a difference by donating what you can. Every little bit helps!